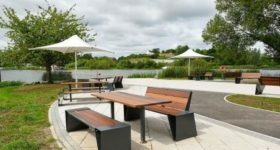 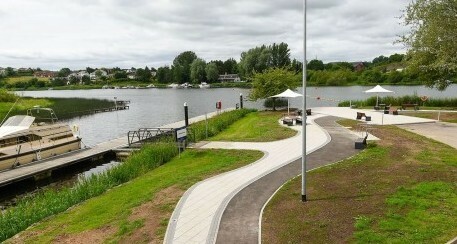 These works in Enniskillen consisted of the construction of an extensive riverside walkway, a Castle Promenade of new and improved high quality surfacing around the water’s edge, along the River Erne’s shoreline and the inclusion of a public events space. The project was developed following public consultation and had been included in the Enniskillen Master plan prepared in a partnership with the Department for Social Development (DSD). 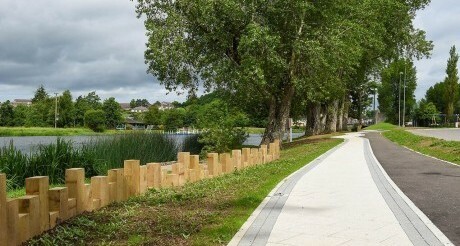 The path proves an accessible route around much of the perimeter of the town of Enniskillen which is also accessible to both cyclists and pedestrians, creating health benefits to the town with increased opportunities for cycling, jogging and walking.